← Are the Supremes singing the blues for class action suits? 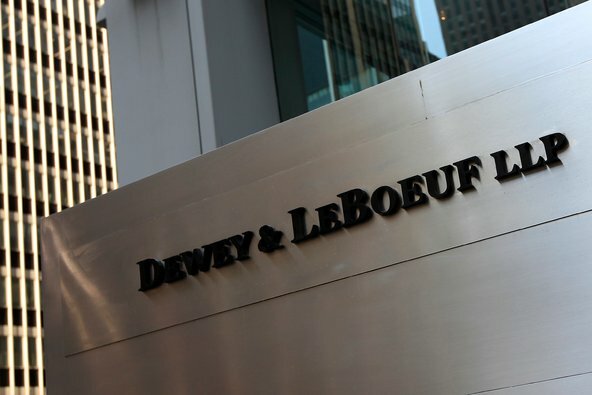 Three of the former execs at Dewey LeBoeuf, were charged with fraud that led to the largest law firm bankruptcy in history. According to a statement from Manhattan DA Cyrus Vance, Jr., Dewey’s ex-chairman Steven Davis, its ex-executive director Stephen DiCarmine, and its ex-CFO Joel Sanders along with ex-client relations manager Zachary Warren have all been charged with fraud. The indictment highlighted a continued pattern of lies to the firm’s executive committee, partners, and auditors that began in November 2008, and continued until March 2012, two months before the firm filed for bankruptcy. Dewey liquidated under court protection, and settled most disputes with the firm’s attorneys, at one time over 3,000 around the world, through a settlement. As it will come as no surprise to you dear readers, all of the accused are swearing their innocence, and the denials and media games are in full-play. I so wish Judge Rakoff gets to hear this case.